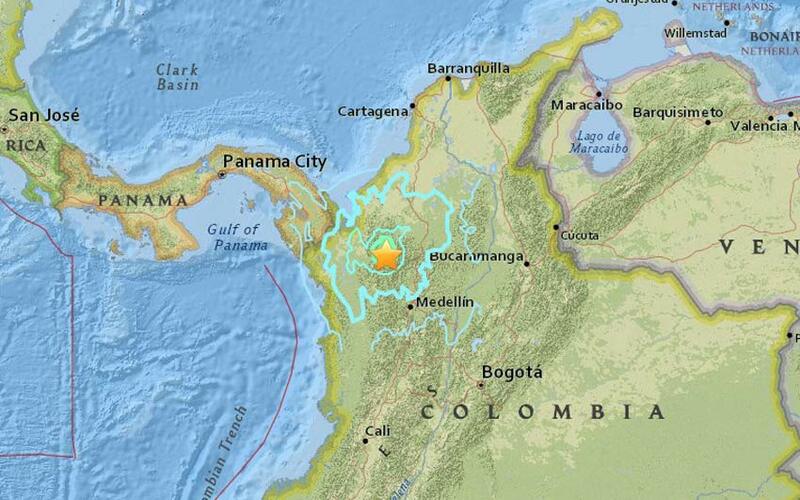 The Strong Earthquake has struck northwest of Medellin, Colombia Today on Tuesday (Sep. 13). According to the US Geological Survey Report, the quake measuring 5.9 magnitude. The Immediate details about this Colombia Earthquake is noted here. The epicenter of the earthquake has located in Latitude 7.327° North Longitude 76.100° West. According to the report of USGS, the quake has formed at the time of 01:58:30 UTC at the depth of 72 km (45 miles). It has located from 129 km (around 66 miles) of northwest Colombia’s second biggest city, Medellin. As of now, there was no immediate report of casualties and damages. A few days back, Peru had like this 6.0 Magnitude Earthquake on September 10, 2016. Surrounding locations such as Mutatá, Dabeiba, Ituango, Chigorodó, Ebéjico, Gómez Plata, Bello, Copacabana, Medellín, Itagüí are also may affected due to this quake.